Below are links to access/download various assets for Your Guide to College Transfer. If you need something that is not listed below, please contact transferguide@kaplanedfoundation.org. Your 2019 Guide to College Transfer is an essential resource for the entire transfer process, from application to enrollment. Whether you always knew you’d transfer credits or you just realized there’s a better path to your degree, this guide is for you. 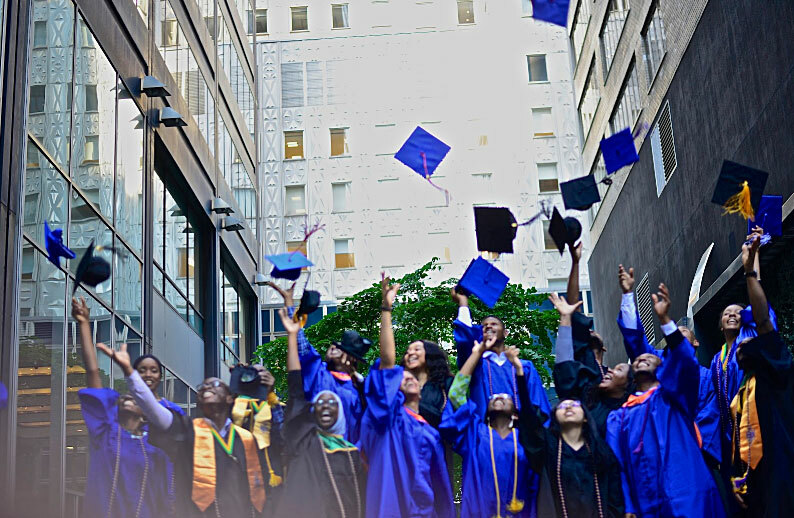 We provide all the information you need to assess your educational options and choose the right school for you, including in-depth school profiles that feature transfer admissions policies, financial aid options, and resources available specifically for transfer students — all in one place. 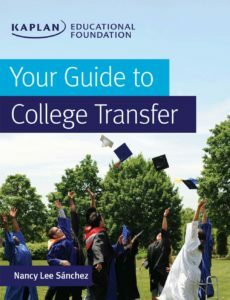 Drawing on over a decade of success helping community college students transfer to selective four-year schools, this comprehensive handbook features more than 100 in-depth profiles of the top transfer schools in the U.S., with expert advice on how to stand out to transfer admissions officers. 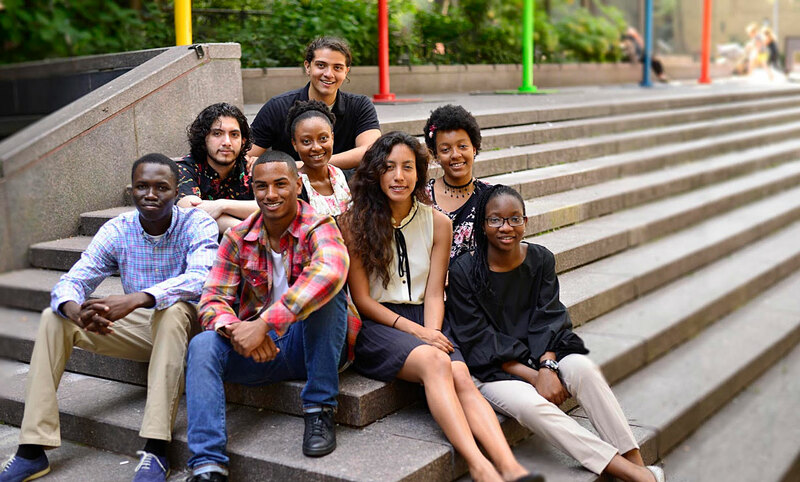 Your 2019 Guide to College Transfer also includes specialized advice for underrepresented, first-generation, non-traditional age, community college, military-affiliated, DACA, and undocumented students contemplating transfer, as well as students with children. New to the 2019 edition are profiles of online schools and advice about online bachelor’s program options. We’ll show you what makes a student successful during the admissions, transfer, and enrollment processes, and how to achieve that success in your own transfer. Whether you’re a student, a parent, a guidance counselor, or a college adviser, this guide can help you navigate the complex landscape of college transfer. 100% of the proceeds from the sale of this book will go to the Kaplan Educational Foundation, a 501(c)3 public charity. 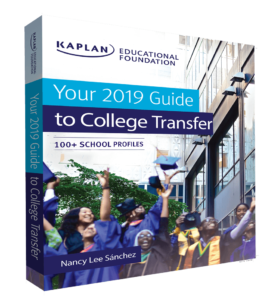 From the organization with over a decade of expertise in transfer admissions, the Kaplan Educational Foundation’s Your Guide to College Transfer is a comprehensive textbook for the entire transfer process, from application to enrollment. Geared toward instructors and advisors, Your Guide to College Transfer includes worksheets you can use to help guide students to be successful in their transfer process and thrive at their pre-transfer and post-transfer schools. Whether your students always knew they’d transfer credits or they just realized there’s a better path to their bachelor’s degree, our guide will help them navigate the complex landscape of college transfer. For additional instructional materials, including downloadable lesson plans and worksheets, visit yourguidetocollegetransfer.org. Nancy Lee Sánchez, is Executive Director for the Kaplan Educational Foundation. As the founding director for academic advisement and student development, Sánchez was responsible for the design and implementation of the Kaplan Leadership Program model. Sánchez has over 19 years of expertise providing greater access to higher education, improving the college experience, and supporting leadership among low-income, underrepresented, and non-traditional students through collaborative partnerships and services that directly target factors affecting degree-attainment gaps. As a leader in transfer education, she has been featured as an expert in media including PBS NewsHour, MarketWatch, Sirius XM, and more, and as a featured speaker in conferences focused on diversity, access, and success in college attainment. Her work has been recognized by the National Institute for the Study of Transfer Students, receiving their 2018 Catalyst Award, and City & State, receiving their Corporate Social Responsibility Award. Sánchez’s own educational journey started at Kingsborough Community College, where she earned her associate’s degree in early childhood education. She went on to earn a bachelor’s degree in education from Long Island University and a master’s in sociology from Brooklyn College. As a 2014 National Hispanic Executive Leadership Fellow, Sánchez completed Harvard University’s John F. Kennedy School of Government’s Executive Leadership Program and the Leadership Development Program at the Center for Creative Leadership. Born in Las Piedras, Puerto Rico, Sánchez currently resides in Brooklyn.